If you’re looking for a meaningful way to celebrate Earth Day 2008, here’s an inspiring project worthy of your support. Taka ni Pato (“Trash is Cash”) is an income-generating, solid waste management and recycling project that removes more than 2000 tons of trash each year from a slum in Kenya. More than 700,000 people live in the Kibera slum of Nairobi, which is large as NYC’s Central Park, yet lacks basic government services such as trash removal, sewage, and clean water. 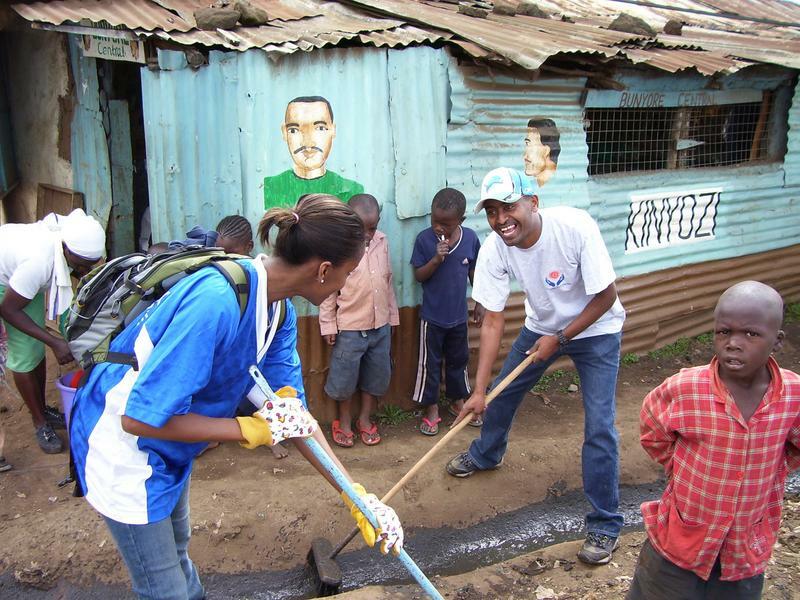 Through Taka ni Pato, however, garbage is becoming a resource in Kibera. TNP promotes solid waste management and public awareness about recycling, and creates jobs for youth that collect trash. At present, TNP engages more than 100 young people, providing them with the tools necessary to clean up their communities, creating a healthier environment while generating income for individual economic development. If you’d like to support TNP in their efforts to create a more environmentally and economically sustainable community, click here. $25 will buy two shovels and a rake for clean ups; $75 buys a wheel barrel for transporting trash; $100 helps pay rent for land used to sort and store recyclable materials. Make a difference this Earth Day! Anyone out there have a favorite environmental effort they’d like to share? This entry was posted in Environmentalism, Global Activism, Poverty, Water on April 22, 2008 by Rabbi Brant Rosen. Thanks Brant once again for alerting us (your faithful readers!) to this excellent cause. I love to read about the positive, hope-inspiring efforts that are happening around the world. It’s the kind of stuff that keeps me going. I made a donation to hopefully help keep them going.